A pure yet delicate aroma of freshly cut figs. 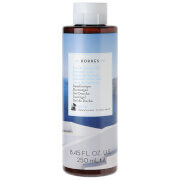 This creamy foam shower gel has a quantifiable and lasting moisturising effect. Wheat proteins form a protective film on the skin, maintaining its natural moisture level. Active Aloe rich in Vitamin C, Vitamin E, Zinc and antioxidant enzymes enhances the skins immune system. Additionally due to its ability to stimulate collagen and elastin synthesis, it helps to reduce the visible signs of ageing. Aqua/Water/Eau, Sodium Laureth Sulfate, Cocamidopropyl Betaine, Sodium Cocoyl Isethionate, Coco-Glucoside, Glyceryl Oleate, Parfum/Fragrance, Aloe Barbadensis Leaf Juice, Alpha-Isomethyl Ionone, Althaea OCinalis Root Extract, Arginine, Benzyl Alcohol, Butylphenyl Methylpropional, Castoryl Maleate, Guar Hydroxypropyltrimonium Chloride, Hydrolyzed Wheat Gluten, Imidazolidinyl Urea, Lactic Acid, Limonene, Phenoxyethanol, Polyquaternium-7, Potassium Sorbate, Sodium Dehydroacetate, Sodium Gluconate, Tocopherol. 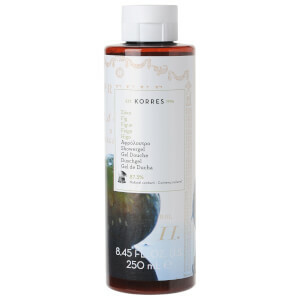 A simply gorgeous shower gel, and it won't break the bank. I've been looking up the ingredients - it has Castoryl Maleate, which forms a moisturising complex with the skin as you rinse, and Sodium Cocoyl Isethionate, a very gentle surfactant. Excellent formulation. Just love the smell of this shower gel, the best shower gel I have tried by far, real value for money as well, number 1 in my opinion.